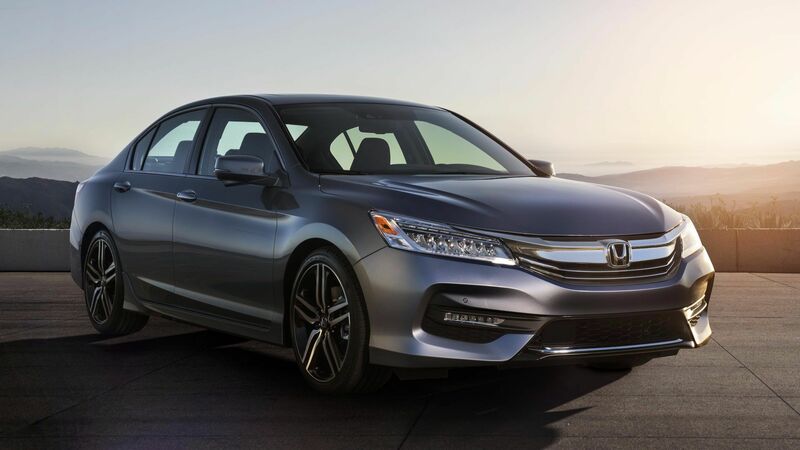 The 2016 Honda Accord sedan offers more options and better equipped trims than any other car in the segment. Some say that the compact midsize sedan market is very competitive. That statement is undoubtedly true. Honda’s take on this particular segment rises above its rivals with an offering that no other manufacturer can compete with. 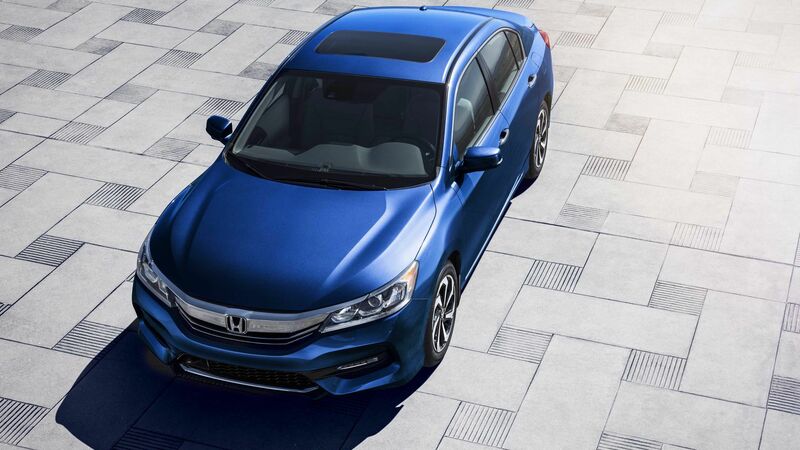 The 2016 Honda Accord sedan offers more options and better equipped trims than any other car in the segment. With a choice of two engines, it will please car enthusiast looking for all around reliability and comfort along with great performances. 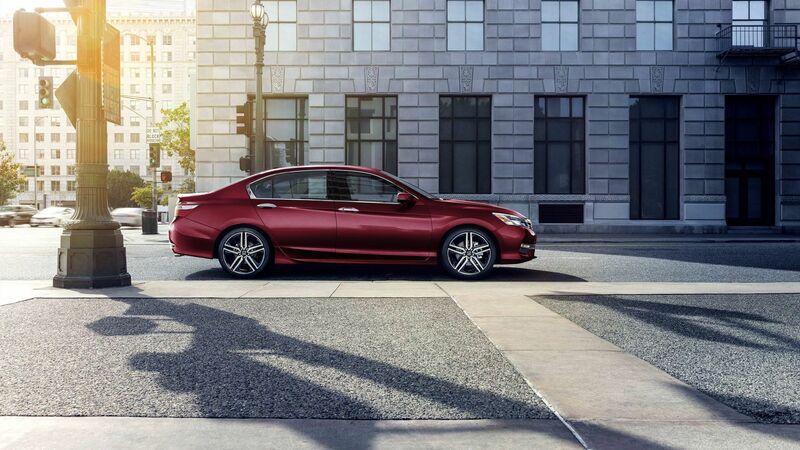 The 2016 Accord is offered in five trim levels: LX, Sport, EX-L, EX-L V6 and Touring. Under the hood, performance and technology abounds with two state of the art engines to choose from. The engine on the LX, Sport, EX-L and Touring models is a 2.4-litre, four cylinder powerplant that reaches 189 hp and 182 lb-ft of torque (on the Sport trim). The other engine option is a 3.5-litre V6 that boasts an impressive 278 hp and 252 lb-ft of torque. This second engine is equipped with a standard Multi-Point Programmed Fuel Injection system and Variable Cylinder Management (VCM). The standard transmission on the four cylinder engine is a 6-speed manual transmission (MT) but an efficient continuously variable transmission (CVT) is also offered as an option (the CVT is standard on the EX-L model). As for the V6 engine, it is mated to a 6-speed automatic transmission (AT) with Grade Logic Control. 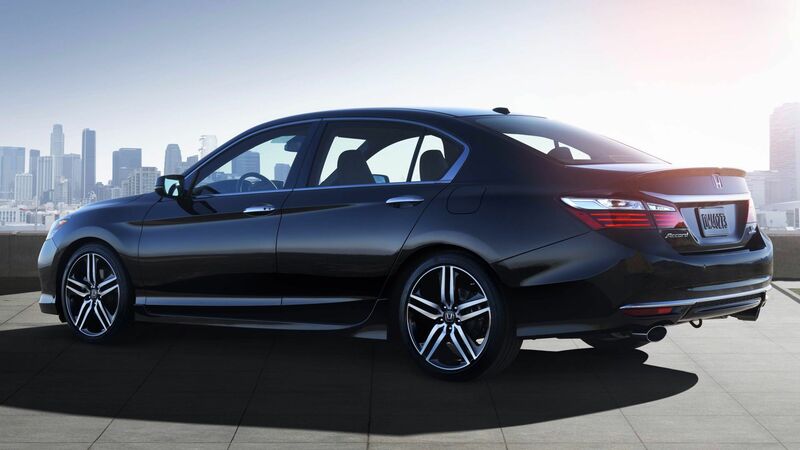 The 2016 Accord Sedan is stunning to look at. It has luxurious attributes that are perfectly mixed with performance elements that give it a unique presence. Body-coloured heated power door mirrors, including an expanded view driver’s mirror, a pair of beautiful LED taillights and Speed-sensing, variable intermittent windshield wipers are all standard features of all variants of this sedan. In the front, projector-beam halogen headlights complement the signature chrome grill on all trims under the touring model. 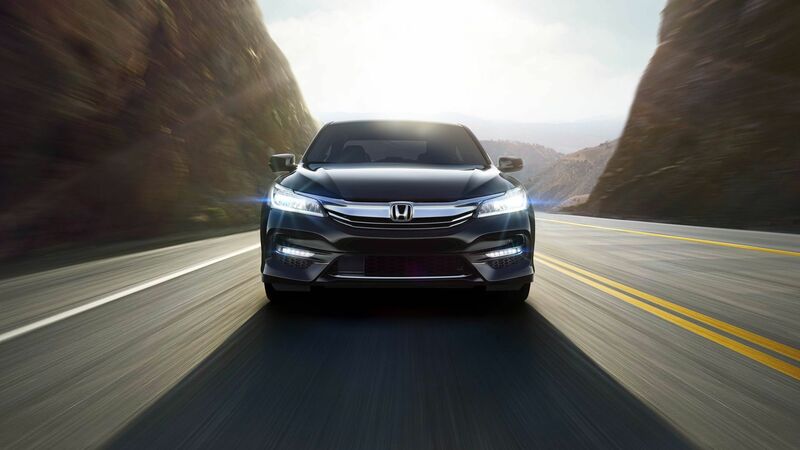 The Touring model gets exclusive LED headlights with auto on/off as well as LED front turn indicators. Finally, the practical and convenient one-touch power moon roof with tilt feature comes standard with every variant except the LX. Inside, it is tailored for the driver and its passengers. This upscale interior includes great standard features like Dual-zone automatic climate control with air-filtration system, a driver’s seat with 10-way power adjustment including power lumbar support, heated front seats and 60/40 split fold-down rear seatback on all variants. Buyers who opt for the EX-L, EX-L V6 and Touring trims will benefit from perforated leather-trimmed seating surfaces. Moreover, these particular trim levels also get heated rear seats. 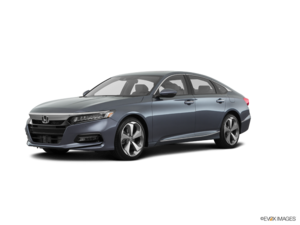 The 2016 Honda Accord Sedan is the most reliable midsize sedan available. 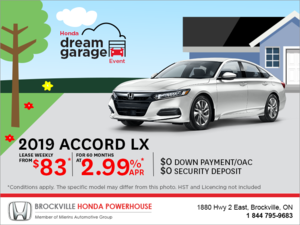 Come and see at Brockville Honda today!